One of heavy metal’s greatest critics has finally come around. In a striking reversal of her earlier position, not only has Gore come out in support of heavy metal, which she now believes is “a positive influence on America’s youth”, she is even working on a metal album, tentatively known as “Scream Tipper Gore”, scheduled to be released in December. Tipper Gore’s group, the Parent’s Music Resource Center or PMRC, formed in 1985 in an attempt to limit children from accessing music with violent or sexual themes. Many of the artists targeted included Mercyful Fate, Venom, WASP and Judas Priest. The PMRC’s campaign eventually led to a Senate hearing and labels being placed on many metal albums. The album that really changed Gore’s mind was Cannibal Corpse’s seminal death metal classic “Tomb of The Mutilated”. During her divorce with former Presidential candidate and climatologist Al Gore in 2010, she turned to music as a source of strength. One day, she was searching through Youtube for new music and came across the song “Hammer Smashed Face”. “It was love at first listen,” said Gore as she revealed the recently inked “Butchered at Birth” tattoo on her left thigh. She immediately immersed herself with metal albums and now is an expert in the genre. Ms. Gore has reached out to many in the heavy metal community and begun friendships with several noted artists including Patrick Mameli from Pestilence and Suffocation vocalist Frank Mullen. 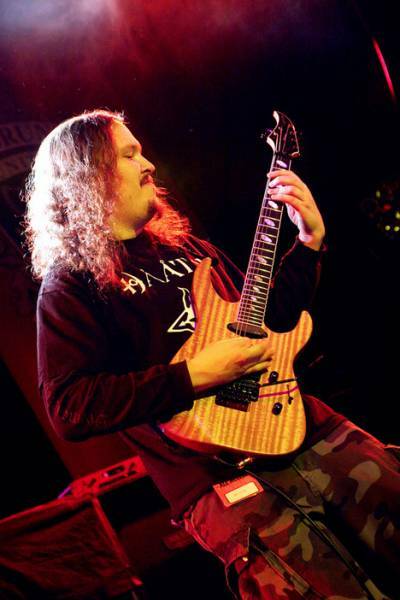 Gore recruited an all-star cast of metal musicians to appear on the album and even talked Murphy into playing guitar on the band’s first single “An Inconvenient Brutal Truth”. She considers herself a top-notch death metal vocalist and described her style of singing as a cross between Angela Gossow formerly of Arch Enemy and Antti Boman from Demilich. This entry was posted on April 29, 2014, 2:08 PM and is filed under General Weirdness. You can follow any responses to this entry through RSS 2.0. You can leave a response, or trackback from your own site. I almost thought this was real for a minute. Puritanical Metal Retaliation Committee ist krieg! Cant wait to hear Staring listlessly (at the Blackie Lawless poster on my wall). I wonder if Blackie Lawless ever stares listlessly at a Tipper Gore poster on his wall? Man, your blog is hilarious! Tipper Gore is the future of heavy metal! Awesome! I remember going down to dc when the hearings were going on. We were some angry little metal heads!